Luchino Visconti was an Italian theatre, opera and cinema director, as well as a screen writer. His talent for melodrama and film inspired Ottiu to create the Visconti Armchair. The design combines decadence with a mid-century modern style. 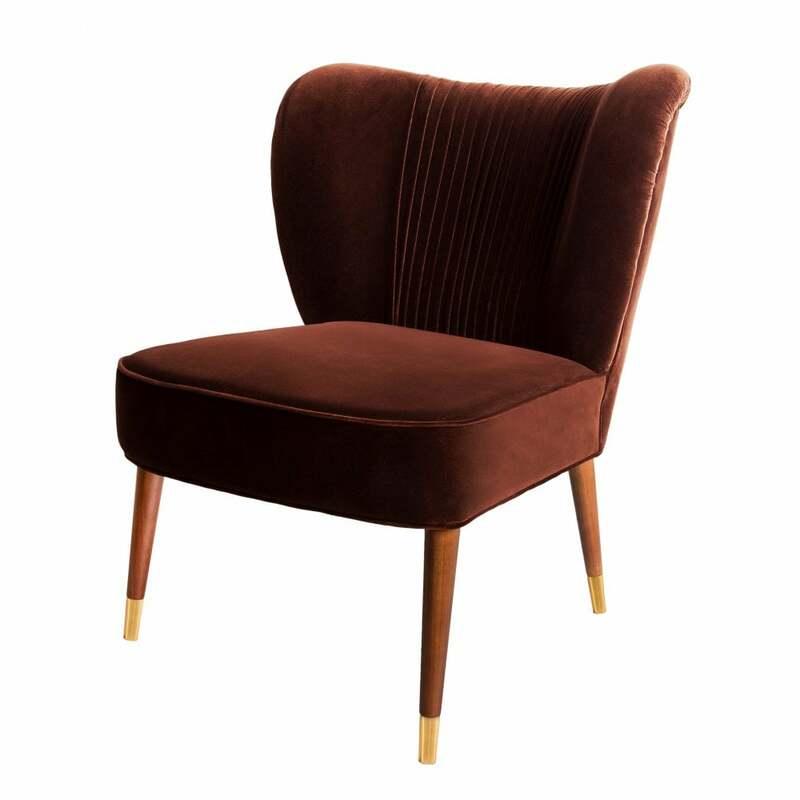 Upholstered in the finest cotton velvet, the retro shape is complemented by elegant walnut legs with polished brass details. Hand-crafted by skilled artisans, the Visconti armchair would work beautifully in both contemporary and traditional homes as well as hotel projects. Use as a chair in a luxurious bedroom for a touch of glamour. Part of Century Collection by Ottiu, get in touch with our team to discuss finish and colour options. Priced for Upholstery: Ottiu Fabric. (USD) Structure: Pinewood, legs in walnut wood with high gloss varnish. Details: Pleats, polished brass feet.